New Parishioners - Register Online! Mother Teresa’s Closet is located in the back of the church, (little red barn) and open for donations of seasonal clothing from September through June of each year. We welcome gently used clothing for men, women and children with a real need for infant and toddler items. We also collect men’s jeans, boots, and hooded sweatshirts for our Midnight throughout the year. Know that your unwanted items are helping those in need! 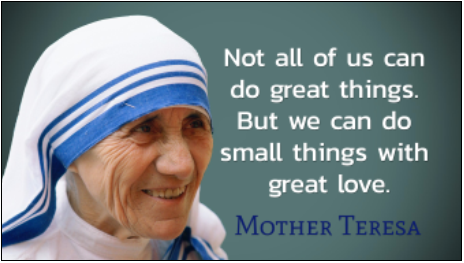 Thank you to all those who donate to Mother Teresa's Closet. God bless you!